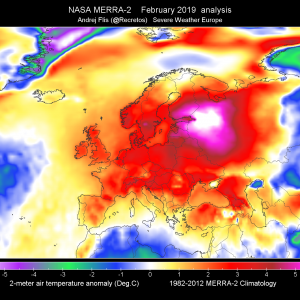 An Arctic outbreak is expected to blast across a large part of Europe through the next 72 hours. 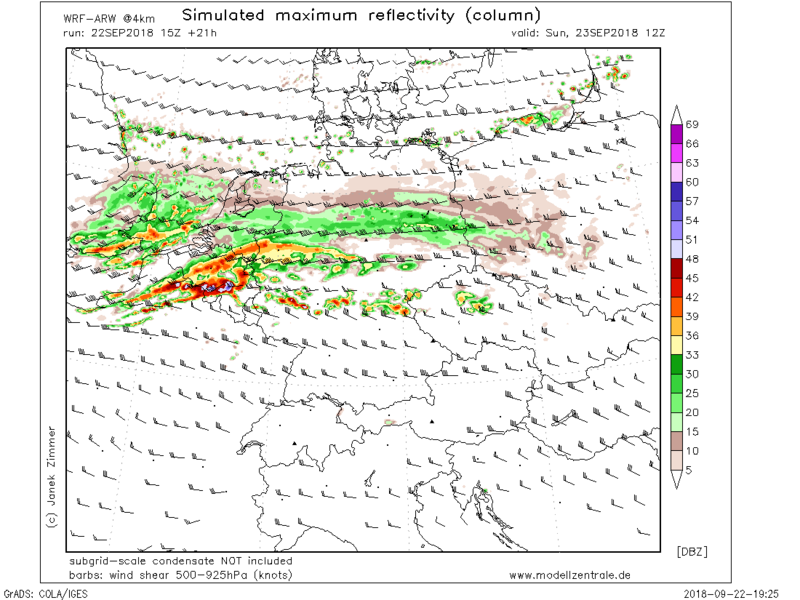 An associated sharp surface cold front will be rapidly pushed across central Europe and will be characterized with an intense squall-line within a weakly unstable, but strongly forced and sheared environment. 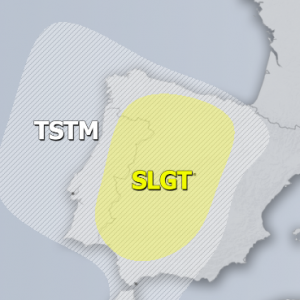 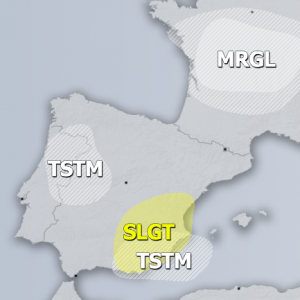 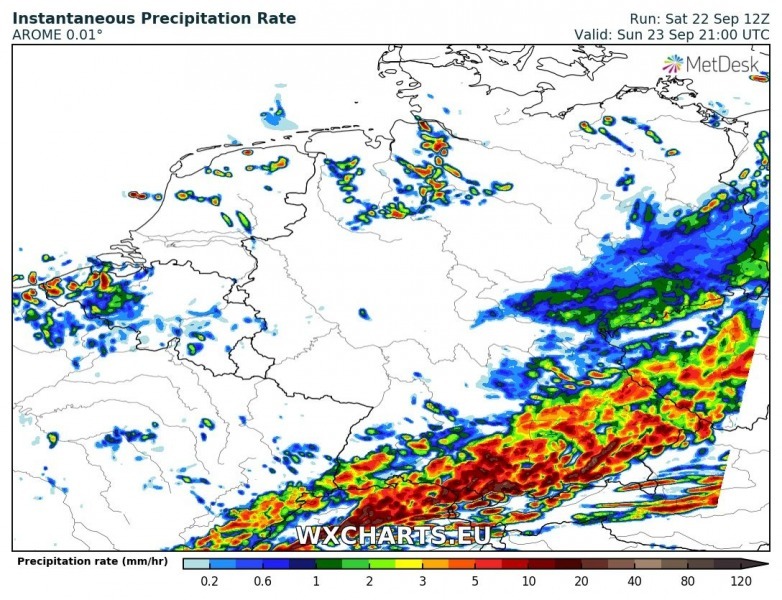 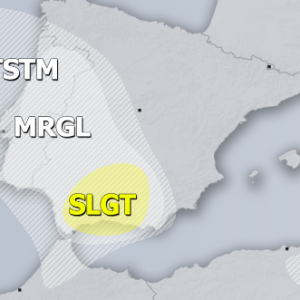 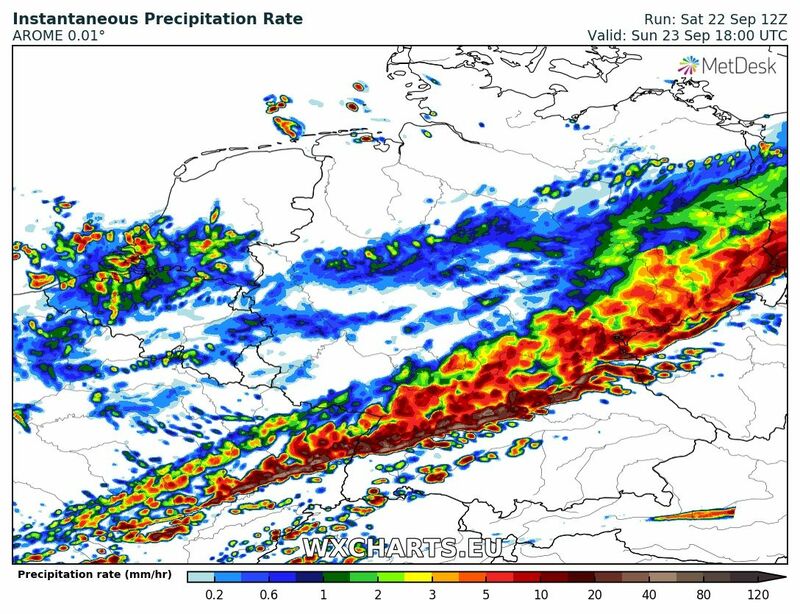 Severe damaging winds, including short-lived tornadoes, could develop along the front across eastern France, south-central France, Czech Republic and northern Austria. The pattern evolving across Europe tomorrow is characterized by a strong ridge over eastern Atlantic and SW Europe, while a deep trough is being pushed from north towards the east-central Europe. 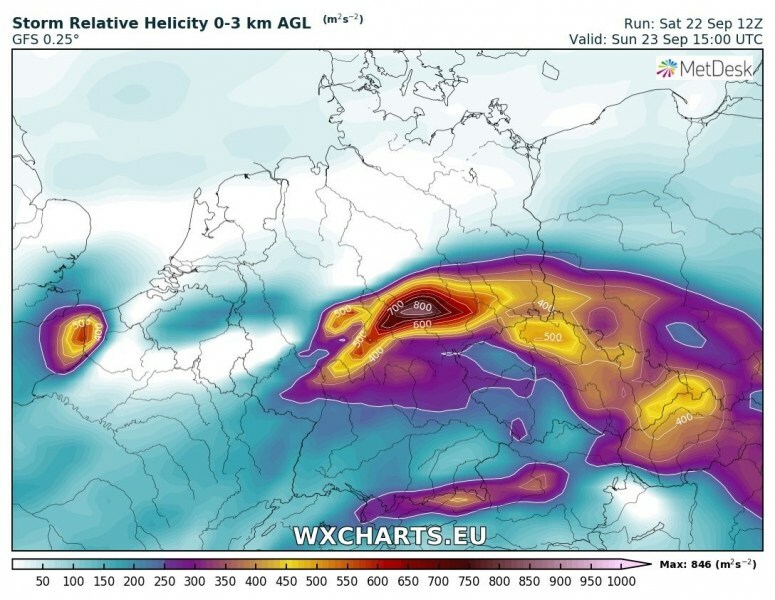 An associated cold front will rapidly push towards the Alps and N Balkan peninsula during the late afternoon and evening hours. 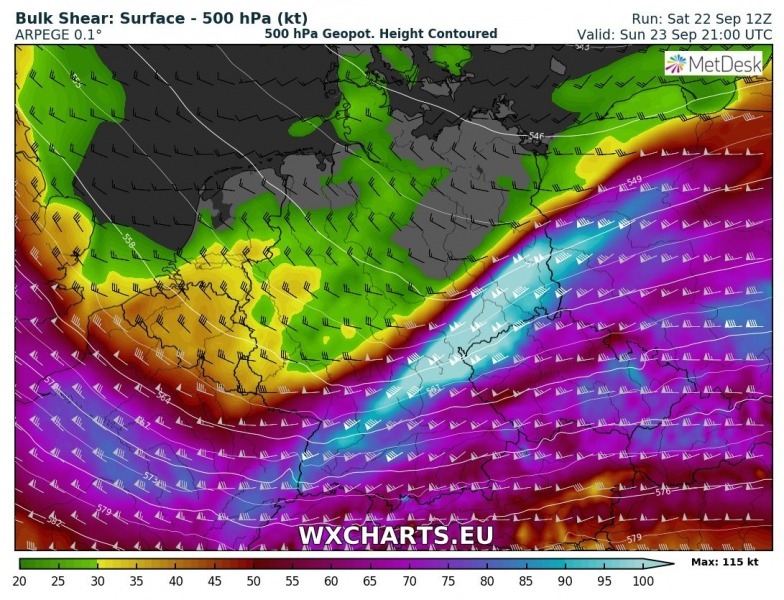 Despite the lack of pre-frontal moisture recovery, some instability is expected to build up along and just ahead of the cold front, as very cold mid levels will overspread the front. 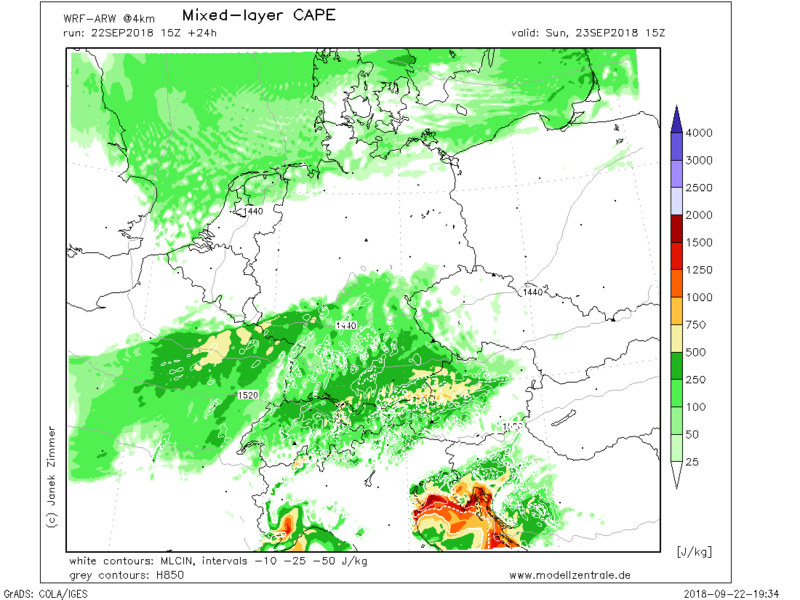 Various models (WRF-ARW, ARPEGE, AROME) are suggesting 500-800 J/kg of MLCAPE will be possible. 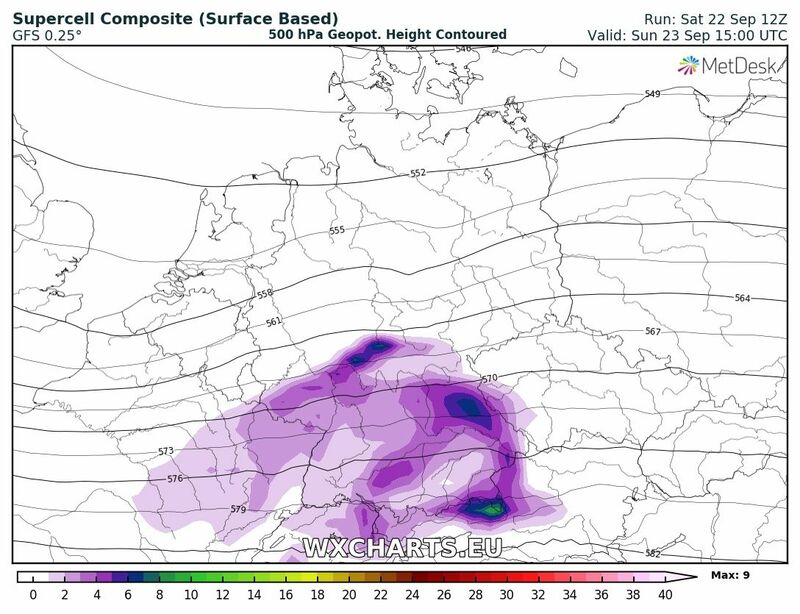 Such instability is actually quite marginal, but a rapidly moving cold front and forcing should support a lot of convective activity. 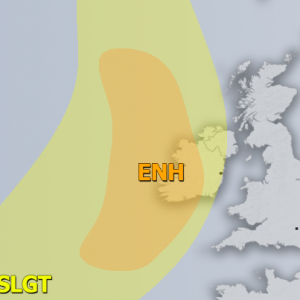 Similar setups have brought severe wind damage (e.g. 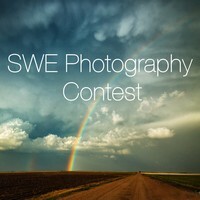 winter windstorms) and tornadoes in the past. An intense jet streak will be associated with this deep Arctic trough and therefore a very strong wind shear along the cold front, probably around 70-100 knots! 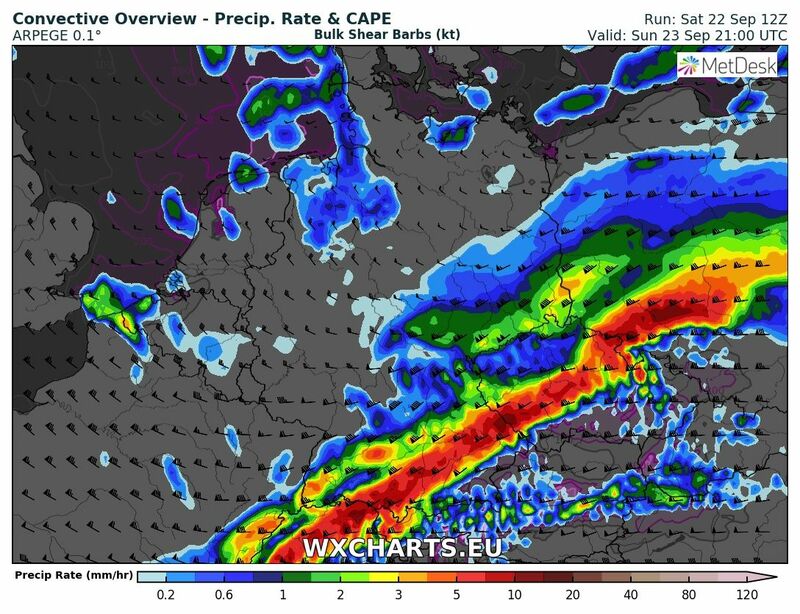 The mid/upper level forcing will be particularly strong and result in a rapidly moving frontal boundary towards SE, so a robust environment will be in place. 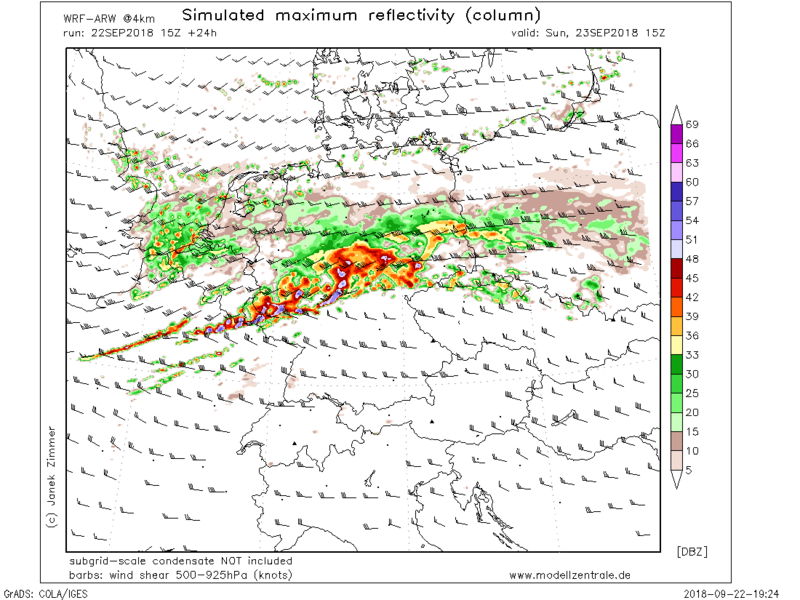 Given such strong shear, including in the lowest levels, and high storm-relative helicity available, environment will be conductive for organized rotating storms, including supercells with mainly severe to extremely severe wind gusts as well as intense rainfall threats locally. 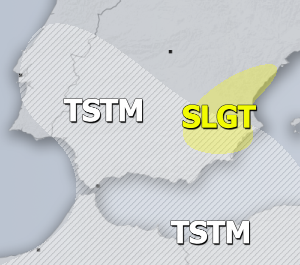 A few short-lived tornadoes are not ruled out either, especially near the center low where helicity will be maximized. 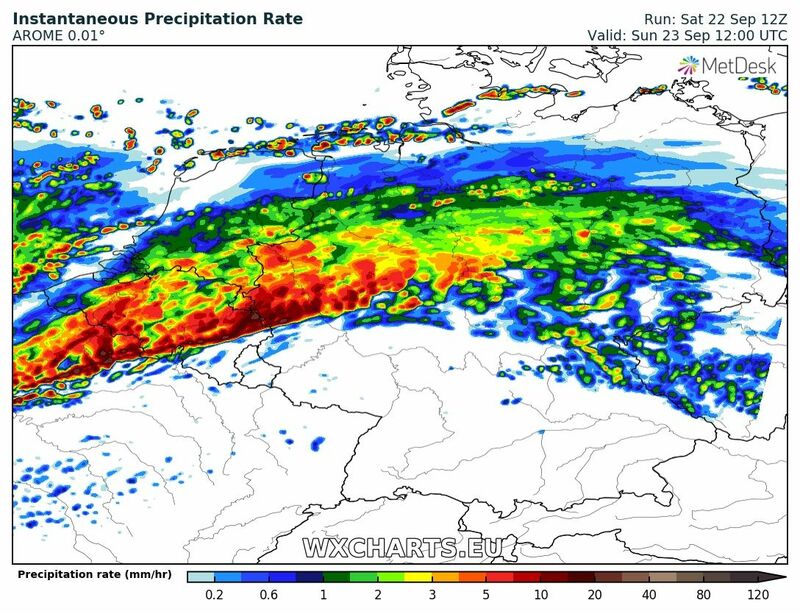 Here is a simulated radar / convective precipitation sequence from 12 UTC until 21 UTC evening hours. 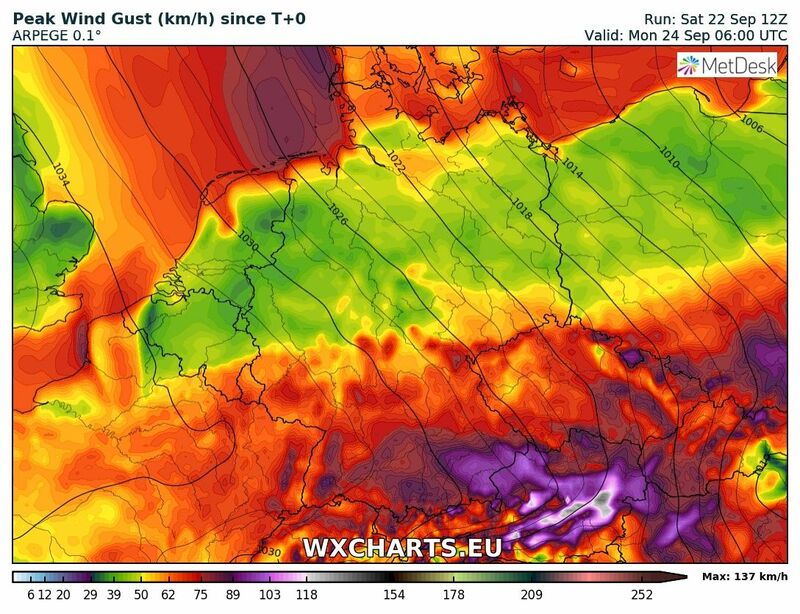 The cold front becomes better pronounced across NE France and Benelux around noon when a surface cyclone deepens and accelerates towards Germany. A strengthening pressure/temperature gradient along the sharpening cold front will develop severe storms, organized into lines and begin spreading towards ESE in the early afternoon hours. An intense squall-line is likely to develop by mid afternoon and rapidly move across east France, southern half of Germany and Czech Republic and SW Poland through the late afternoon into evening hours. 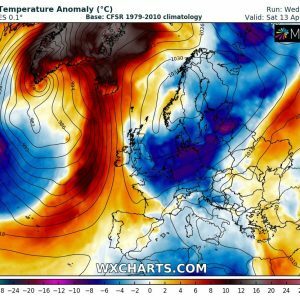 The cold front reaches the Alpine region towards the midnight. 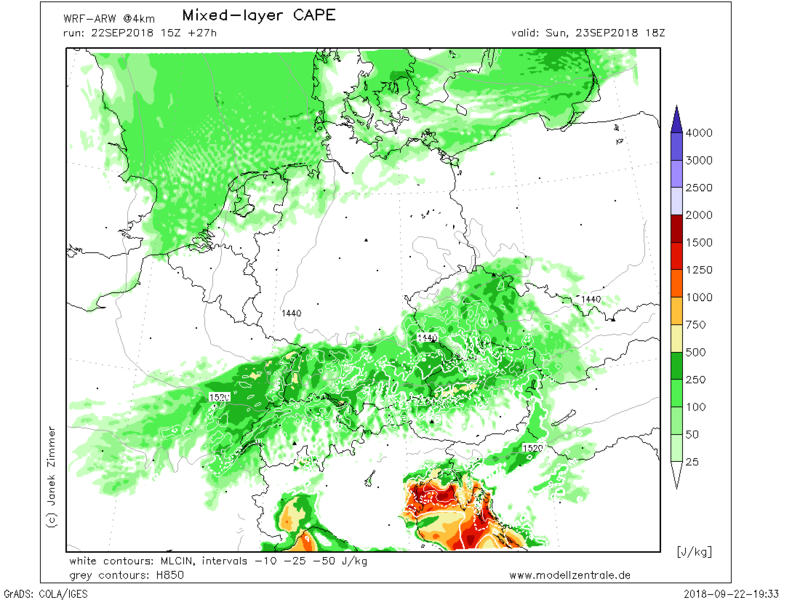 Attached are various maps by ARPEGE, AROME and WRF-ARW models. ICON-EU, ARPEGE and AROME models comparison of wind gusts swath along the cold front across eastern France, south-central Germany and western Czech Republic. 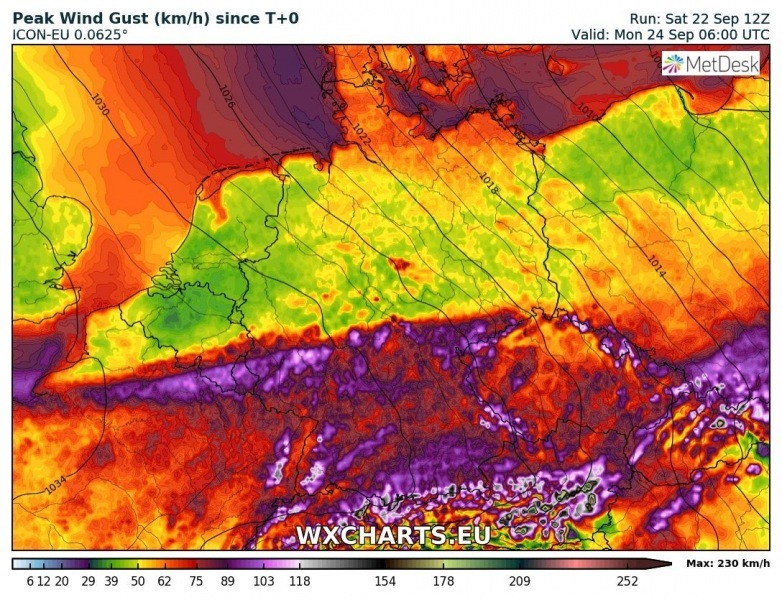 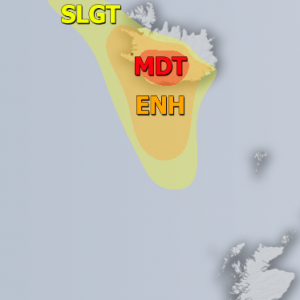 Widespread wind gusts up to 90-100 km/h are likely. 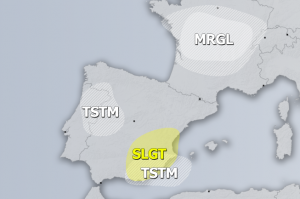 Much stronger gusts will be possible where supercell storms could develop as the intense mid-level wind field supports the possibility of extremely severe wind gusts. Peak gusts up to near 150 km/h are possible there and therefore also some significant wind damage. 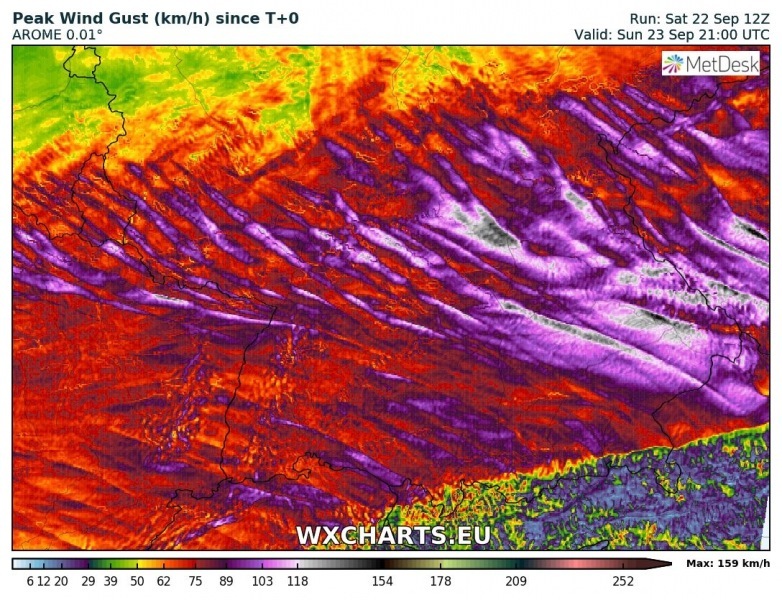 Looking at AROME model wind swaths, we can actually see the trails of several severe storms with intense winds. 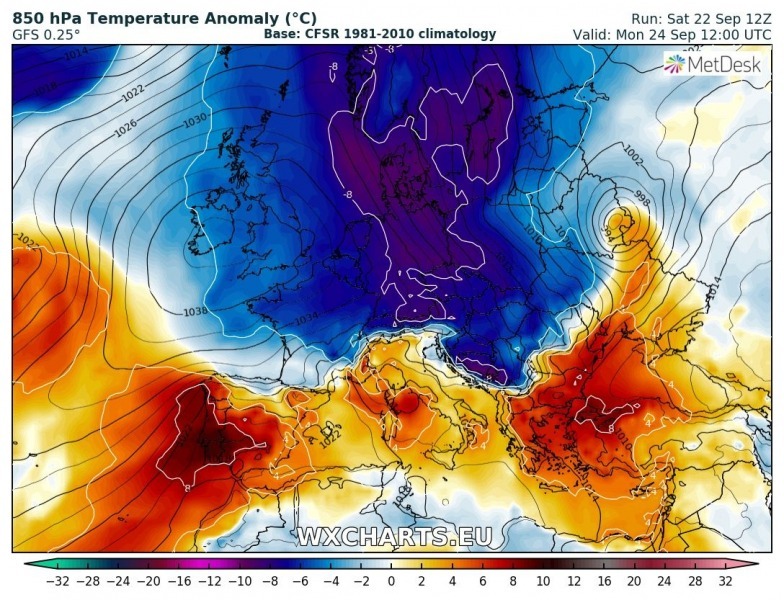 Very cold Arctic airmass will spread behind the cold front in the evening hours and overnight to Monday, when the cold front enters northern Mediterranean and northern Balkan peninsula. 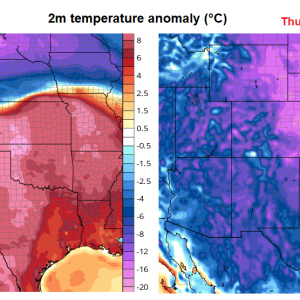 Airmass with 10 °C below normal temperatures will rapidly spread towards south on Monday and Tuesday. 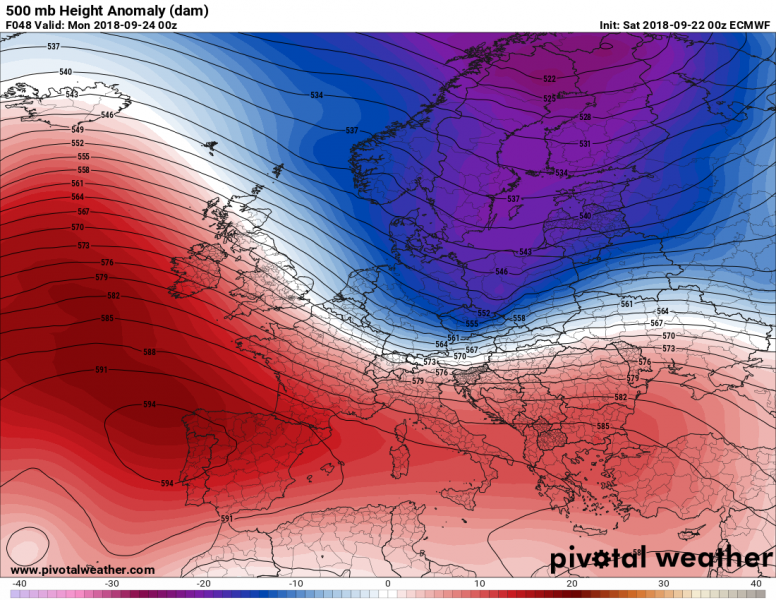 Stay tuned for further updates on the Arctic outbreak evolution in the coming days!